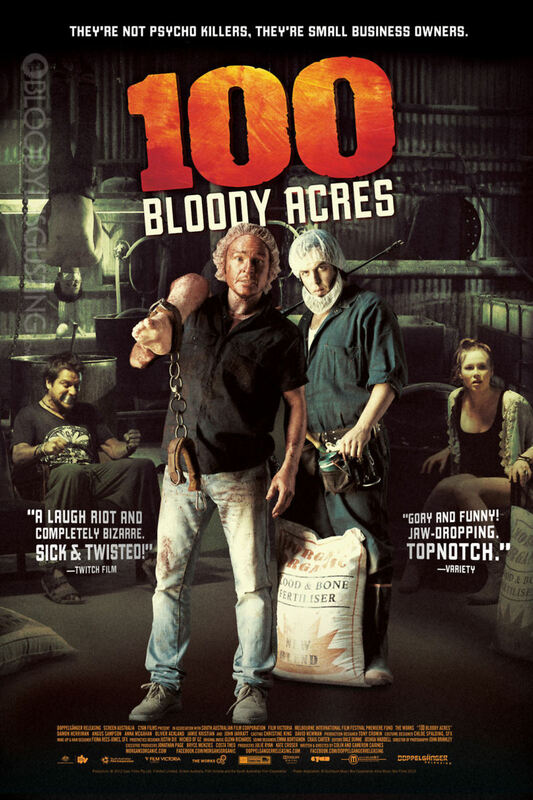 100 Bloody Acres DVD release date was set for October 1, 2013. The Morgan Brothers use a grisly secret ingredient in their “Blood and Bone” fertilizer, and it has been doing wonders for their sales. Unfortunately, they haven’t had a shipment of the ingredient for some time and a customer is pressuring them for delivery. Reg Morgan sees a solution to their problems when he happens upon three people stranded on an isolated road. Things take a comedic turn when Reg starts to fall in love with one of his captives. He must make a choice – save his captives and lose the business, or save the business and finally get the admiration of his older brother.